This was a very personal read for me. I am approaching a landmark birthday and I am single and childless, and I’m not depressed about any of it. I am not afraid of getting older, since I don’t feel old. I would very much like to meet someone special, but I am not pining away, nor am I desperate and willing to choose just anyone so I am not on my own. And I decided many years ago that I did not want to have children, for a variety of reasons that I have revisited and revised over the years, but I remain convinced it was the right decision for me. 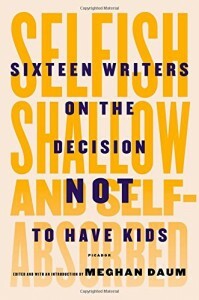 In Selfish, Shallow, and Self-Absorbed: Sixteen Writers on the Decision Not to Have Kids, Meghan Baum brings together 16 writers – men and women, gay and straight, older and younger – to talk about their particular reasons for not having children. Sometimes, their reasons echo my own. Sometimes, they are so different that I could barely parse them. 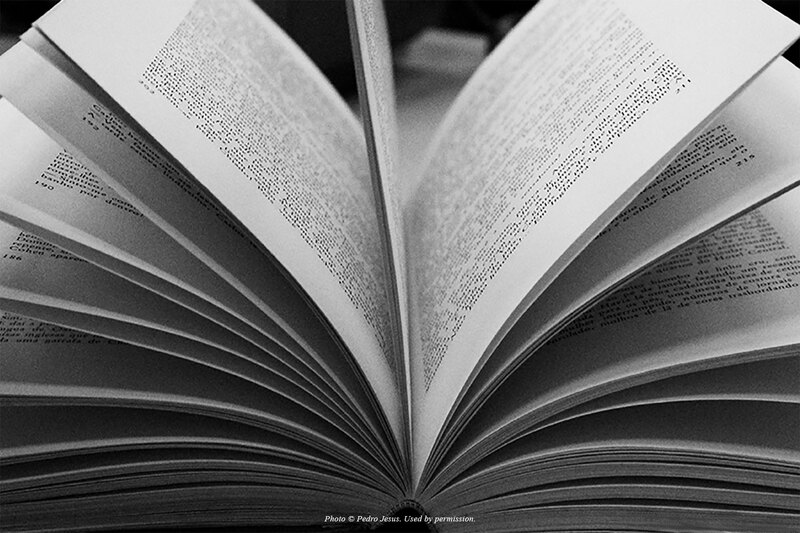 But all of the essays are thoughtful and brutally honest. The first thing that struck me was the inclusion of men. It makes sense, of course, but the discussion of being childfree so often centers around women that it was a little surprising to think about men in this context. Woman are sort of raised to assume that men don’t want obligations and commitments, so it’s more of a surprise when they are eager for a family. Gay men were also a surprise for me, as I had never thought about how the AIDS crisis and the changing face of LGBT rights in this country had changed the way gay men thought about being parents. But for me, the most interesting parts were about women, of course. I appreciated the fact that these were writers, people accustomed to explaining themselves, to making their ideas clear in words. I shared some of their feelings: the desire to have a career that meant something to me, the desire for independence, and the feeling that motherhood is a bad bargain for women in many economic and social ways. One of the common themes is that these women felt that if they had a child, their lives would be consumed by the child and its needs, with little time and energy left for anything else. These were women committed to being able to write, and they knew that having a child would make that far more difficult, if not impossible. Some found it a sacrifice, some didn’t. There was a time during my childhood when I believed that all children were unwanted. If you grow up feeling unloved and unwanted, it makes sense that parenthood seems like an insane idea. Of course, the other girls assure her that she’s wrong, and she’ll want them, but sometimes you just know. I know that I did, and it’s not a decision I regret. Life is full of choices; no matter what you choose, you leave something else unchosen. There are always things you will not be able to do because you are doing something else instead. That’s just the way of it. As one of the authors, Geoff Dyer, says in his essay, “When it comes to regret, everyone’s a winner! It’s the jackpot you are guaranteed to win.” There will always be things I wish I’d done, so all I can do is try to choose wisely. I have never found that to be the case. It’s one of the easiest decisions I’ve made. 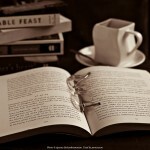 That’s what made the book so engaging – there is such a wide variety of opinions represented that every reader is going to find something that will startle them, surprise them, make them angry, and make them think. What better endorsement for a book? 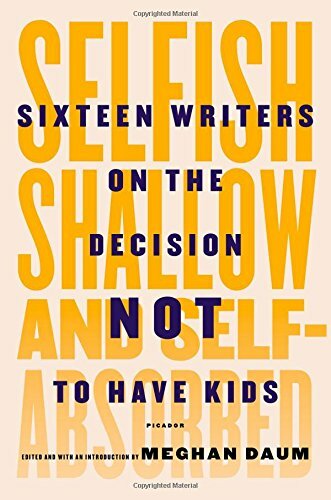 My copy of Selfish, Shallow, and Self-Absorbed: Sixteen Writers on the Decision Not to Have Kids came from my local library. Have you been to yours lately? I’m always amazed when people try to push other people to have children because it’s such a personal decision. Isn’t it better not to have children at all than to be a bad parent?